Do you still think that you will not have enough time to experience all the beauties that surround you? Actually, it's so nice in Arcadia that you don't want to leave! Don't worry, we will take you to a place where you will be able to see plenty of things and then quickly return to paradise on Earth – Arcadia. 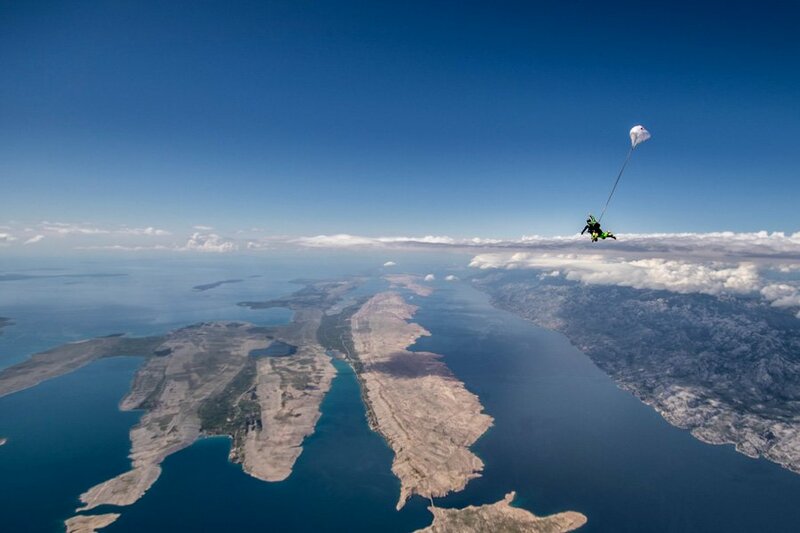 We take you to the clouds, high up in the sky, from where you will have a unique view of the Adriatic Sea, the mountains, the islands, Zadar and all the beauties that you missed on the ground. 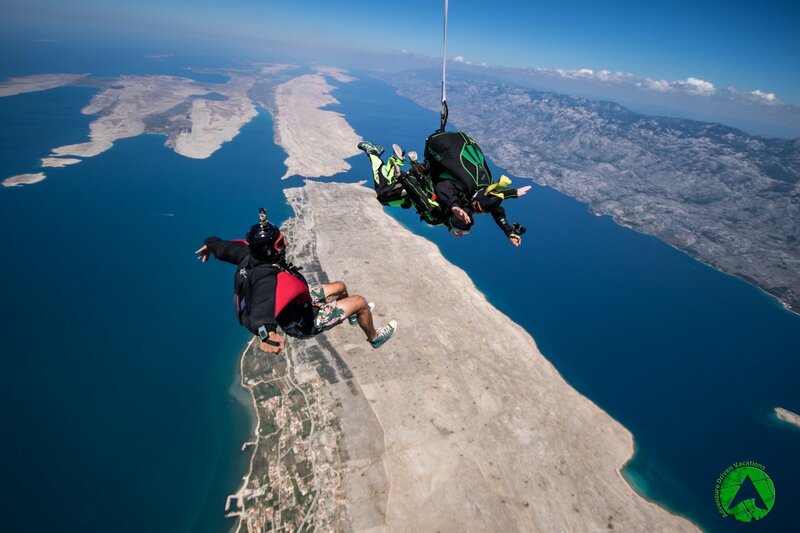 After a 20-minute panorama flight over Kornati and Paklenica, when we reach 3500 meters, in the safe hands of your instructor or partner, you will be able to perform air acrobatics during a 50-second free fall and a steady 5-7 minute flight, or you can peacefully marvel at the heavenly sight before you. 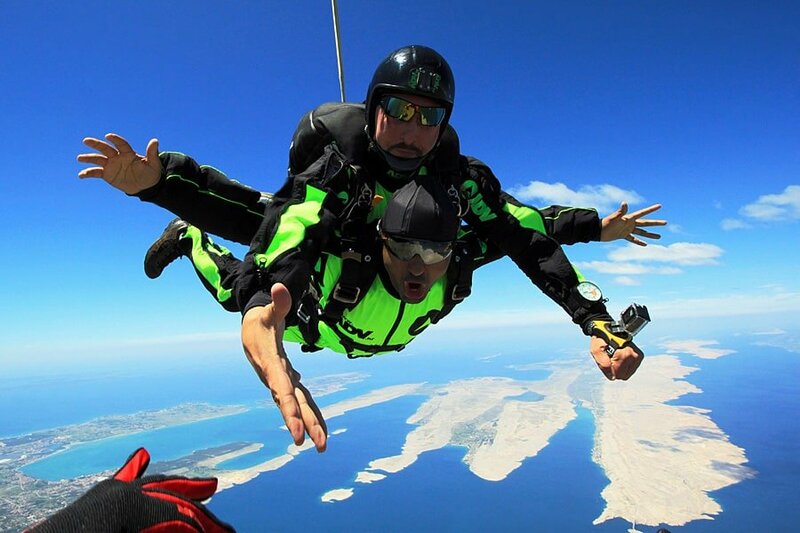 All about tandem skydiving in pairs will be explained to you in depth and, with instructions and some practice, you will be ready for your first jump from a plane, which will surely not be your last! Don't be afraid, the jump is performed under controlled conditions and the only thing that kills is the beauty of the scenery, especially if you decide to jump during sunset! This supernatural beauty can not be described in words! 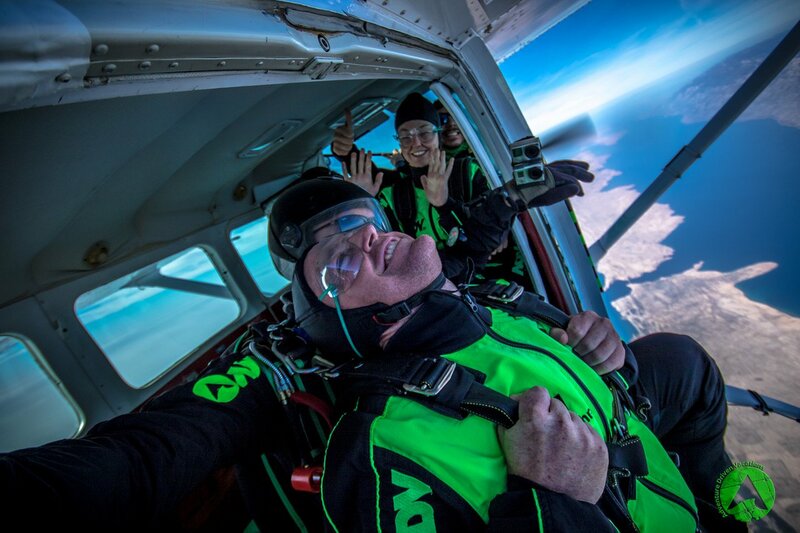 See you in the sky!